North Korean leader Kim Jong-un has praised South Korea for its "impressive" efforts in hosting the North at the Winter Olympics. It comes came after the North's official delegation, led by Mr Kim's sister Kim Yo-jong, returned home from their landmark visit to Pyeongchang. 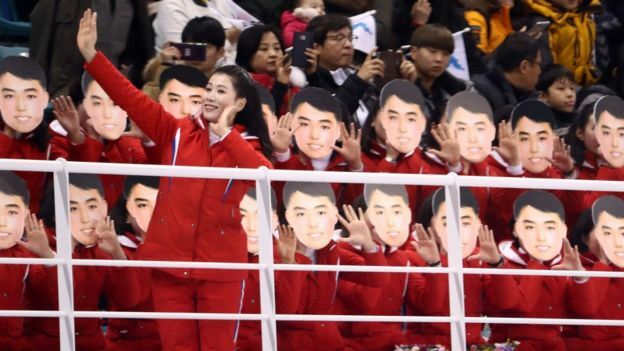 State media outlet KCNA said Mr Kim had thanked the South for "prioritizing" their visit to the Games. North Korea's attendance has been seen as a significant warming in relations. But there have also been concerns that it has allowed North Korea to win a propaganda victory.